With the trade deadline fast approaching, we will be taking a closer look at the situation for each team over the coming weeks. Where do they stand, what do they need to do, and what assets do they have to fill those needs? 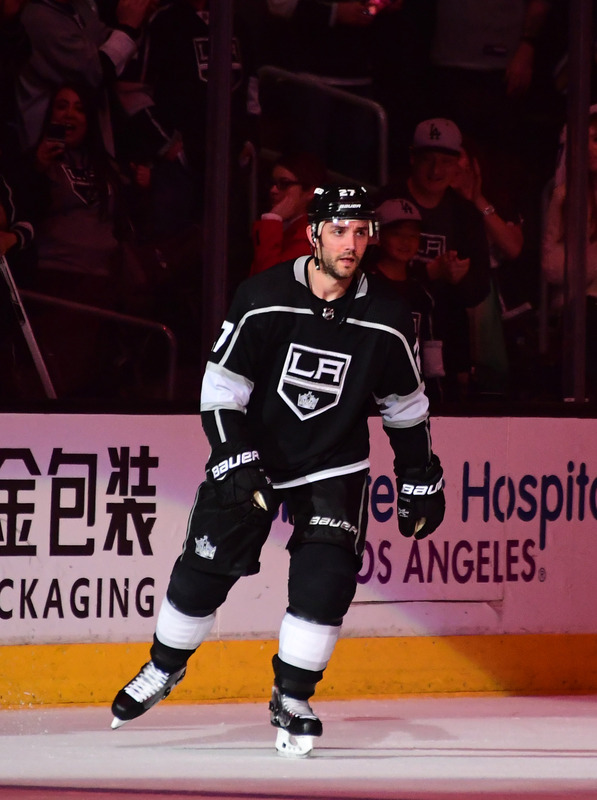 Next up is a look at the Los Angeles Kings. It’s been a rough season for the Kings who had high hopes before the season started. The team had a very successful season a year ago as they had a 45-29-8 season and even though they were the fourth seed, many teams expected them to dominate in the playoffs. Unfortunately, while they played the Vegas Golden Knights well, the team was swept out of the playoffs as Vegas’ speed overwhelmed the slower-moving Kings. The team tried to re-stock in the offseason when the signed Ilya Kovalchuk to a three-year, $18.75MM deal to add even more offense. Then everything fell apart when the season commenced as the team struggled out of the gate and by early November, the team fired head coach John Stevens and replaced him with interim coach Willie Desjardins. The team found itself at the bottom of the standings throughout the league and have already began to fix their team as the team has already moved out forward Tanner Pearson to Pittsburgh and more recently when it sent defenseman Jake Muzzin to Toronto for a first-rounder and a pair of prospects. With the deadline just weeks away and the Kings looking to rebuild their aging franchise, the team may be making a number of moves to upgrade their team. The team has several trade options if they want to totally rebuild the franchise. 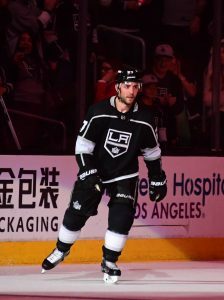 The Kings already moved Muzzin, but with a group of young defensemen, including Sean Walker, Daniel Brickley and Kale Clague waiting for their chance, Los Angeles could move Alec Martinez for a similar return that they got for Muzzin. Martinez has been a solid top-four defenseman with the Kings for years and will be highly sought after, especially in a market where there are so many buyers. It might be hard to believe, but the Kings may also be ready to move on from their superstar goaltender Jonathan Quick. However, the 33-year-old has struggled with both injuries and hasn’t had his usually impressive season as he has a 2.99 GAA and a disappointing .902 save percentage in 28 games. While starting goaltenders are rarely moved at the deadline as most playoff teams already have a starting goaltender, this is an unusual year as a team like the Columbus Blue Jackets could conceivably move the unhappy Sergei Bobrovsky and could conceivably be looking to add a replacement goaltender. The Kings have Jack Campbell and rookie Calvin Petersen, who could take over and start the rebuilding process in net if L.A. decides to go that route. Ilya Kovalchuk has also come up as a potential trade chip for the Kings. The 35-year-old winger has struggled with injuries and production slumps, but the veteran winger has 11 goals this year and could score even more on productive playoff team. Whether a team is willing to take on his $6.25MM salary for another two years after this is a whole different question, considering he’ll be 37 years old in the final year of his contract. When the team acquired Carl Hagelin in the Pearson deal, the main purpose of the trade was to free themselves of Pearson’s two extra years on his contract. Hagelin, however, will be an unrestricted free agent and could easily be flipped at the deadline for a pick or prospect. Unfortunately, Hagelin only has two goals and eight points this season in 33 games, but still could provide a franchise with a quality middle-six rental for a low cost. 1) Youth: With numerous aging veterans already locked up for the next three to five years with no way to escape from those deals, what Los Angeles needs more than anything are young talent that they can build on. The team already picked up a pair of interesting prospects from Toronto in Carl Grundstrom and Sean Durzi, but the more young talent and picks they can acquire to expedite the team’s rebuild the better. 2) Forwards: The team needs more offense. While they have a number of interesting defensive prospects, there are only a handful of scorers that the team has ready to step into their lineup with the possible exception of Gabriel Vilardi, who has been injured all season. There are other prospects, but the Kings need to start focusing on bringing in as much offensive talent to fix the team’s lack of speed and offensive woes. No mention of Tyler Toffoli as a trade chip? He’s definitely a trade chip and would be of interest of teams looking to add secondary scoring like Boston, Nashville, Winnipeg & Montreal. Idk what the narrative is for quick being traded but i dont see it. Have to imagine only if a team gets desperate and offers a huge haul they would trade Quick. A. Kings don’t lack speed..Tired of reading that. Hagelin, Kempe, Wagner, Leipsic, Carter…all have top end speed. Kopi, Doughty, Martinez, Walker all terrific skaters as well. The only “slow” players on the team are Phaneuf & Forbort. Stop saying Kings need speed…they need players that can “play” fast, which is about reacting faster and making stick-to-stick passes and positioning. Not necessarily skating. B. Kings also have some good young forwards…Vilardi (if his back heals) is a great prospect as is Anderson-Dolan, Akil Thomas & Rasmus Kupari…They just need good players that play the game the right way. C. Unless bowled over, Toffoli isn’t being dealt. He’s just not finishing this season, every other aspect of his game is as expected. Bad years happen. D. If they can get rid of Jeff Carter’s contract, they ABSOLUTELY will. He should be on your list. Just not sure it’s going to be possible without taking back salary. E. Quick will be dealt at the draft, not at the deadline. F. Kings are sellers, for sure, but they actually aren’t that far off from being good again as you’re seeing their level of play improving on their east coast road trip..They’re only 6 points out of a playoff spot which is a credit to the veterans on this team. Sorry you’re tired of hearing the Kings need speed….. but they do. Saying “kempe is fast, Wagner is fast, etc” isn’t the kind of speed that virtually every analyst saying the Kings need speed is talking about. Hell, if that’s what you’re saying, they should have kept Tobias Rieder last year…. he was out big “speed” acquisition. The Kings need players who can carry the puck with speed, carry through the neutral zone and into the offensive zone with possession, and create their own offense off of that speed. Being straight-line fast isn’t what people are talking about. It’s the NHL…. they are all fast. But the dump and chase days of the nhl are quickly coming to an end, and that’s the “speed” the Kings have. Dump the puck, skate in a line as fast as you can, and try and use our big bodies to forecheck and get possession…. whereas the majority of the league has the speed/skill with the puck, to enter the zone with possession frequently. Vilardi is an overrated prospect, who is yet to play even a half season. He is virtually the opposite of what the Kings need. He is a big body, puck control down low and in the corners, kind of forward with speed and skating concerns (very real concerns, which is why he dropped in the draft). How does that address the Kings needs? Kupari and Thomas are good prospects, but those are still just prospects that you never know about panning out, and even IF they do…. they aren’t phenoms who spend half a year developing and then come up. They are each at least 2-3 years away from contributing in any major way. You said the Kings being 5 points out of a playoff spot can be attributed to the veterans?? The Kings have been in last place virtually the entire season!! Come on dude!! The ONLY thing you can attribute the 5 point out of a playoff spot to is a very poorly performing western conference. Period. Besides the Ducks, is there a slower team in the NHL than the Kings? I can’t name it. I’d like Carl Hagelin back when they trade him, though. Kovalchuk to the Leafs for Marleau and a pick or prospect. Same salary, Kings save a year on contracts and can flip Marleau in the off season or deadline next year. Leafs get 4 years younger with Kovalchuk who should score at least 30 with Matthews or Tavares. What you described was “playing fast.” Which is exactly what I was talking about… Speed on the forecheck, speed with the puck…speed with reactions… You Literally made my point for me…Thanks! And maybe you haven’t noticed the veterans on this team playing entirely better, but they have been. Even Toffoli is scoring goals and Doughty has been a monster lately… Kings can’t control what other teams are doing, they can only control what they’re doing and they’re doing better… you wanna be blind to it, that’s your choice. Have at it. Kings are still sellers as they should be.